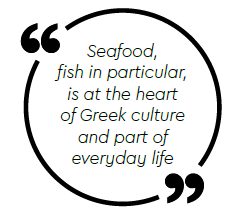 There is a whole ritual behind ordering fish & shellfood at a Greek restaurant. 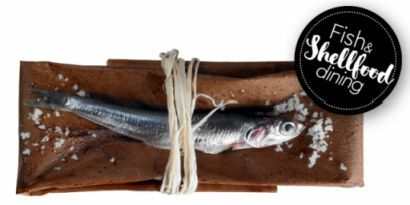 In principle, opt for fish that is fresh. The first thing to do is to find out which type of fish is available on that specific day (depending on season, tides, time of day, etc.). Once you know, you have to walk to the back of the restaurant and pick out your fish, straight from the tank. In order to be able to do this, you have to be knowledgeable and observant. But, as a rule of thumb, you should avoid fish with blurry eyes, pale colours and nasty smell. Key signs of freshness are the bright and clear eyes, the metallic and shiny scales and red-coloured gills. It’s one thing to choose fish, it’s another to choose shellfood! Shellfood has to be alive before served, otherwise you may be at risk of food poisoning. So what do you do? This one’s easy: ask the waiter or the cook to poke it (!) Clams, cockles and mussels tend to react to touch, so if they don’t, you know you have to avoid them. If poking is out of the question, you may as well wait until they are served on your plate. Should shellfood remain unopened after being cooked, do not eat it! Just ask the waiter to take it back and bring you a fresh batch.